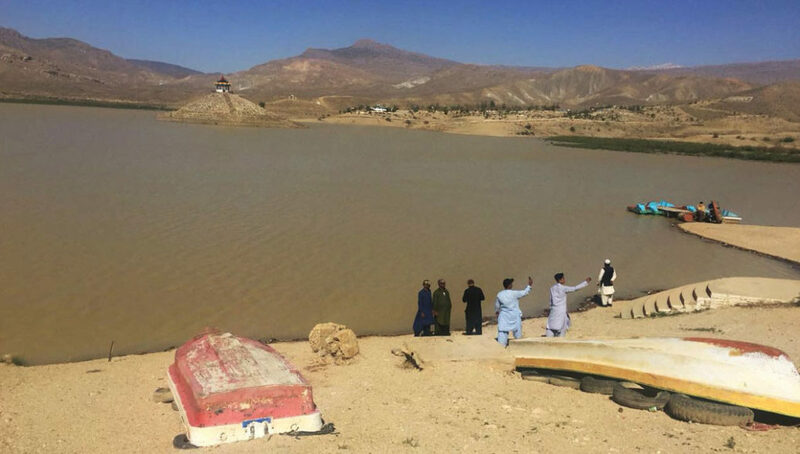 Quetta: Hanna Lake in Quetta valley has been refilled after a recent unexpected spell of rainfall. Quetta experienced a sudden and pleasant change of weather in the second and third week of April in the form of rainfall, snowfall in the outskirts and cold weather. The spells of rainfall have refilled the Hanna Lake which had dried down in 2017. Hanna Lake is situated, 18 KM North-East of Quetta City, in Urak Valley. This Lake is the most famous tourist spot in Quetta valley. Thousands of tourists flocked to Hanna Lake on a daily basis where there was water in the lake. Last year Balochistan Voices carried out a detailed feature report on drying up of Hanna Lake. That report highlighted the natural causes in the form of climate change and the government negligence which resulted in drying up of Hanna Lake. The number of visitors have substantially increased after the refilling of Hanna Lake with water.